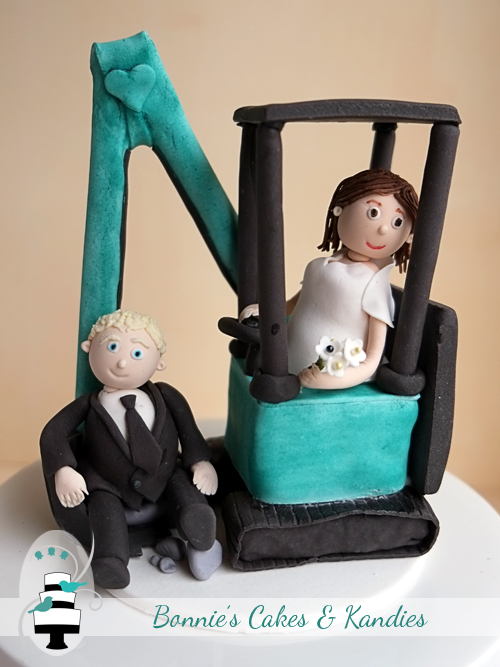 Last year I made three excavator or digger cakes all within a short period of time. You may remember this post about one of them. 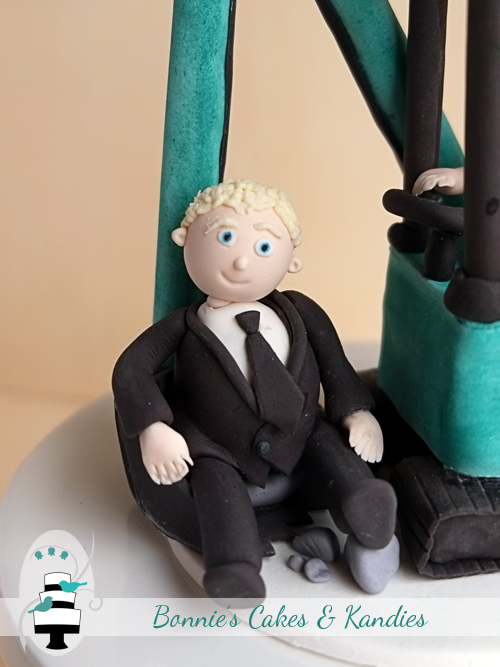 What I have to share in today’s post isn’t a cake, but a cake topper in the form of, you guessed it – a digger! 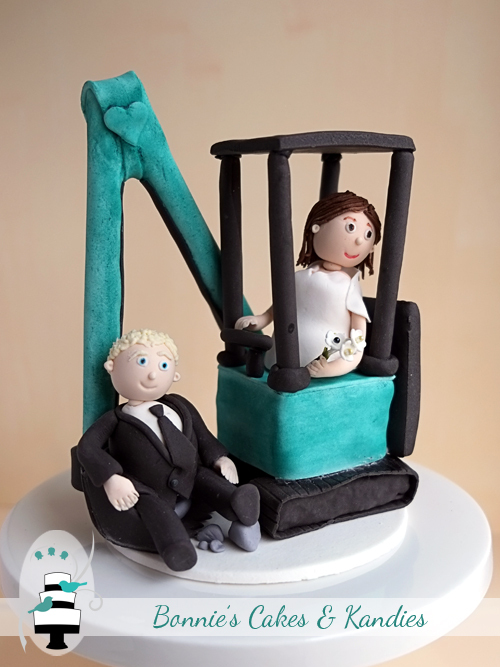 I added extra details such as a small pile of rocks near the groom, a love heart connecting the two arms of the digger, and a simple icing flower bouquet for the bride. 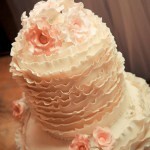 Edible icing and gumpaste cake toppers such as this one do take a lot of time to create, but I think the end result is well worth it! 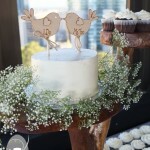 I’m sure it would have been a talking point at the wedding of the happy couple represented here in icing. And why not – just look at how chuffed this groom is to have been ‘scooped up’ by his beautiful wife! 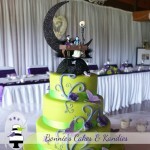 Thank you to my customer for commissioning me to make this fun and unique wedding cake topper!